It feels good be back home after 8 days of ski touring at the Elkhorn Mountains-Oregon, Galena Summit early in the week, and Brundage Mountain sidecountry yesterday. More importantly, Pedro and I have 24 hours to recharge before heading out again this Sunday to backcountry ski again. Bryan - Lookout Peak in the background. With careful selection it was not difficult to find recrystallized and faceted snow that skied pretty well. The location with the shallowest snowpack was Galena, which is expected, as it is shadowed by the Sawtooth Mountains during most of the storms tracking from the NorthWest and West moisture flow. After a long period of little precipitation, where we have various layer of concerns already buried, we are now facing conditions that require careful consideration due to the recent snow, warming trend, moderate winds capable of transporting new snow, and additional snow predicted for tonite. The snowpack in our region is extremely variable, but at the same time it is consistent where pockets of avalanche instability have similar structural deficiencies and depths. At all locations propagation tests produced positive results with sudden collapse and/or sudden planar results. Not surprisingly, we triggered whumpfs at isolated locations. Titus Ridge - Galena Summit snowpack. The two most concerning snowpack structural weaknesses are; a buried surface hoar layer between 10 to 30 cm depending on location, and an advanced facet layer buried 50-70 cms. At couloirs entrances and rocky terrain found in the Elkhorn's, stiff slabs were undermined by well developed basal facets sitting in top of slick granite surfaces. The buried surface hoar layer is of great concern due the locations where it can be found. At Anthony Lake, at the lower section of the western shoulder of Lee's peak, on a lightly wooded slope, we were able to find the buried surface hoar layer and kick a small slab avalanche on terrain with steepness of 30 degrees. 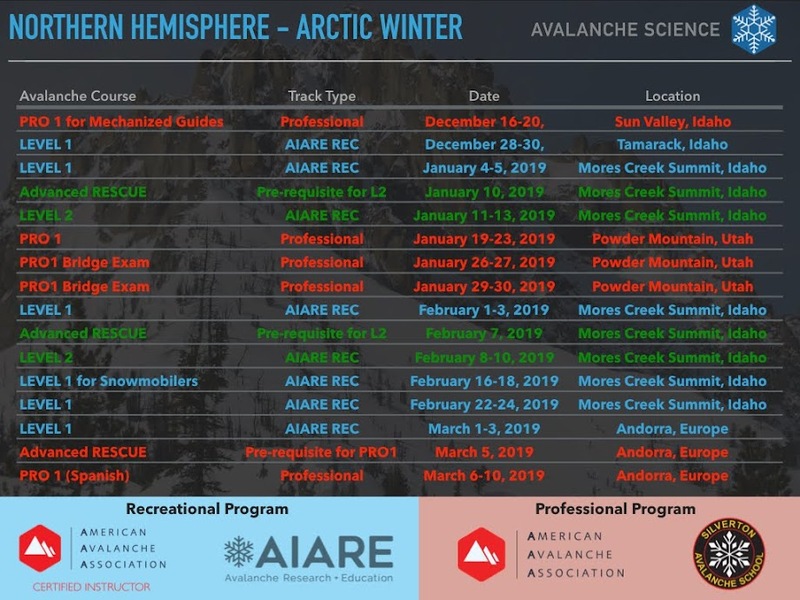 Similar terrain is where I typically observe skiers skiing during periods of avalanche instability and stormy weather, as they consciously avoid alpine terrain. The surface hoar instability was confirmed with the Propagation Saw test at all three locations visited (Anthony Lakes, Galena, Brundage backcountry). It is well known that propagation saw tests have a higher false stable when contrasted to the Extended Column Test when testing snowpack with shallow soft slab structures. That is the result of reduced beam strength in the slab and it will produce a vertical fracture in the slab before the fracture between the weak layer/slab reaches the end of the isolated column. This usually leads to a false stable, because users can incorrectly interpret stable conditions. Furthermore, the PST false unstable is lower than ECT. In other words, when a propagation event is observed during PST test, the results have lower uncertainty than the well known ECT. It is possible that this difference can be attributed to the direct action of the saw in generating a failure, versus the shovel tap/compression effect of the ECT. We remind the reader that avalanche stability assessment should be based in finding evidence of instability, not stability. Any snowpack test methodology that fails for propagation should be treated as evidence of instability. Adimately it is a surprise to observe PST positive results when ECT fails to provide evidence of instability for soft slab conditions, which was the case for the SH layer found at the three locations. But we should always continue to consider the snowpack suspect and seek evidence of instability. In our case we experienced collapses (wumpfs) and visually detected the surface hoar layer. Thus, there is no need to perform stability tests, since we already have evidence of instability. Tilt Test with clean planar slip at the surface hoar interface at Galena Summit. It is worthwhile to note that propagation results are usually accompanied by sudden collapse or sudden planar results, and that was the case for PST as well as CT (compression 30x30 cm column) tests performed during the last week at Anthony Lakes, Galena, and Brundage locations where we found the surface hoar. Please we conservative out there! We do not only have a buried surface hoar layer with a somewhat hard to pinpoint distribution, but there is also a reactive facet layer buried at the 50-70 cm depth level. A week ago at Anthony Lakes as well as yesterday at Brundage backcountry, the deeper facet layer produced very energetic fracture propagation. Thursday's snow and new snow predicted for tonite will make the conditions sketchy. 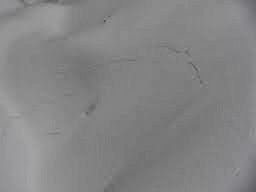 At brundage backcountry we identified both problematic layers in the same location, and it is possible that an avalanche in the SH layer could trigger the deeper weak layer resulting in a much destructive event. Next some cool shots of Galena Summit and Anthony Lakes areas that illustrate well their potential for FUN! Very good friends that were backcountry skiing today at Mores Creek Summit report unstable conditions with lots of cracking and whumpfs. Below a picture of a small avalanche at a road cut. As discussed earlier, cracks are evidence of instability. Check pictures of cracks after whumpfing.